I am sure you have heard about Patagonia, at least once in your life… Yes, this frozen region where you can find the second highest mountains after Himalaya, but also wide landscapes made of bush, fjords, and impressive glaciers… A legendary setting for passionate explorers. The word “Patagonia” itself has its legend and is supposed to mean “Land of the Bigfeet” – it refers to Magellan’s expedition where the chronicler mentioned giants who had been seized as hostages but got sick and died on the journey to Spain. Knowing that, would you dare to explore Patagonia? Well, if you plan to visit Argentina, you should. And El Chaltén is one of the places in Patagonia, you should definitely not miss. 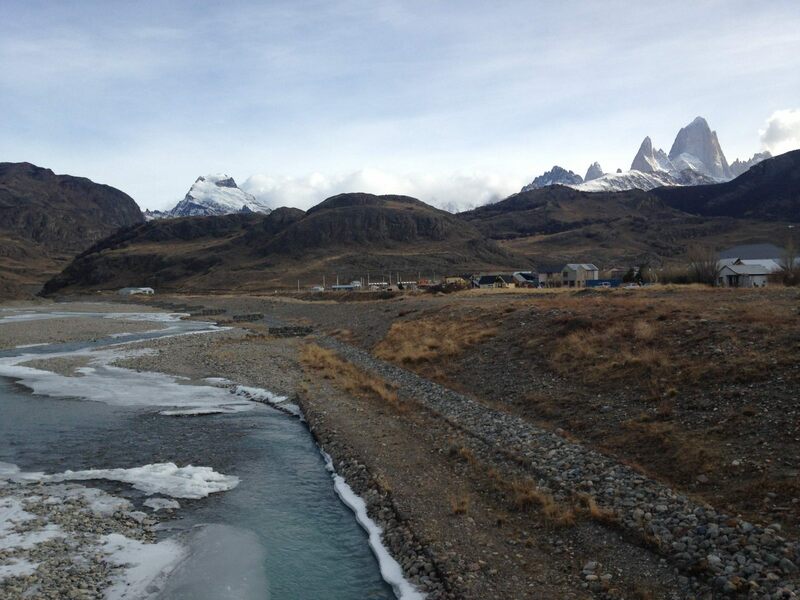 El Chaltén is a small mountain village part of Los Glaciares National Park. 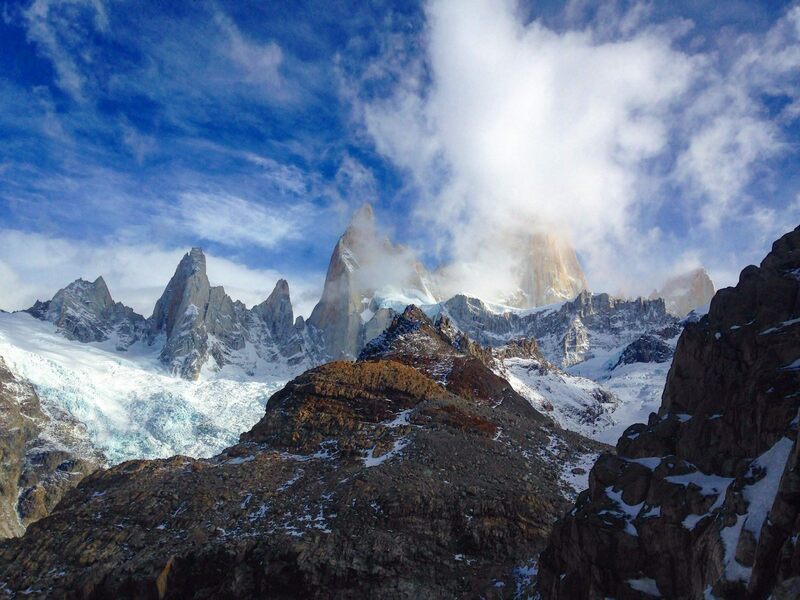 Known as the trekking capital of Argentina, El Chaltén will give you a great outlook of Patagonian treasures. 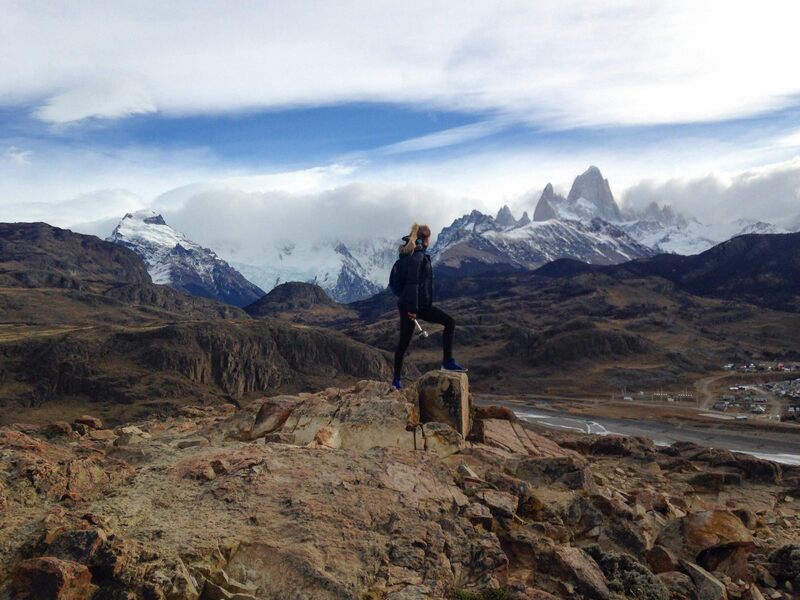 El Chaltén has many hiking trails options but don’t overestimate your physical condition thinking you can do them all. Treks in mountains can be exhausting. So I recommend you to take three days of treks coming back every night at your accommodation to get some sleep and energy. You don’t need a guide to trek in the mountains because the trails are very well indicated. When you arrive in El Chaltén, you can do this small trek to get familiar with the surroundings. 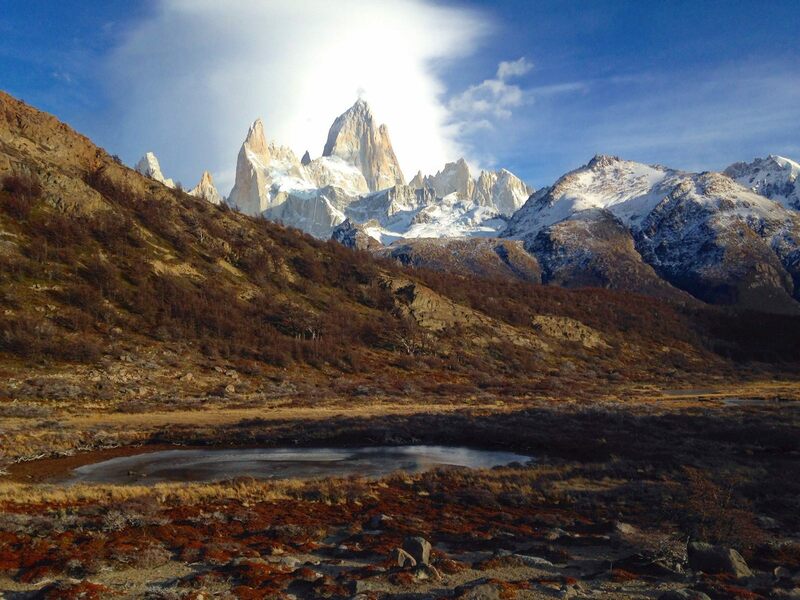 It’s an easy 2-hour hike that will bring you to an incredible panoramic viewpoint of the mountains Fitz Roy, Torre, and Adela. Before reaching the top, you can make stop to other viewpoints of the steppe and Viedma Lake. The way to this trail is at the entrance of the village next to the National Park Visitors Centre. Since it’s the most difficult and the longest hike, keep it for your second day as you will normally be in great shape. This emblematic trek is a must in Argentina. 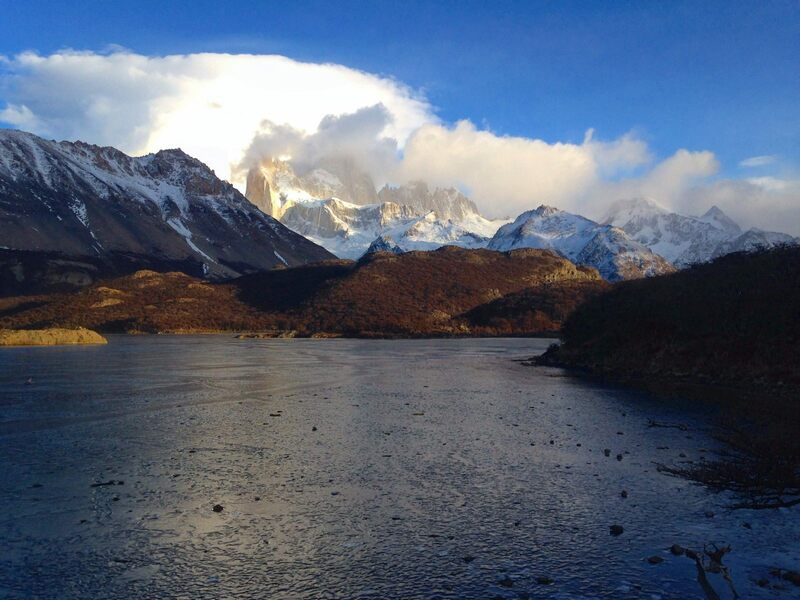 It will lead you to the massive Fitz Roy mountain and its lake Laguna de los Tres at the bottom. On your way, you will spot Laguna Capri, another beautiful lake, rivers, and incredible viewpoints. The beauty of the landscapes is rare and untouched. If you are patient and curious, you can observe wild animals and birds like Condor, the biggest bird of America. The trek takes 10 hours so you need to leave early in the morning to take your time hiking. If you are doing the trek in winter (June, July, August), I recommend you to leave at dawn to catch the sunrise at Laguna Capri. The trek is well indicated at the back of the village. 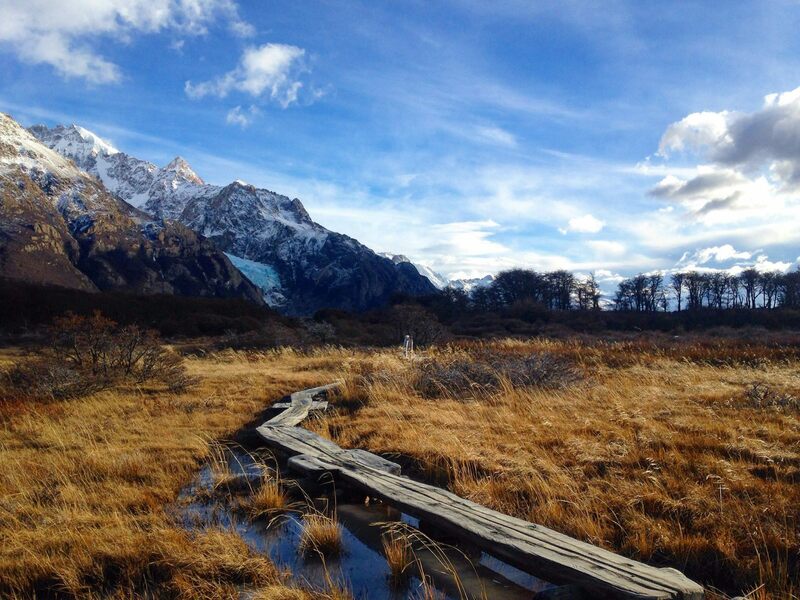 This last self-guided trek is one of the highlight of El Chaltén. This 9-hour hike will take you to the Torre lagoon and pass several viewpoints of the mountains. Even though, the trail is moderate, you might be tired from day 2, so leave early in the morning to take your time during the trail. There are different paths to start the trek but both join after 5 minutes walk. What to bring during treks? The only way to reach El Chaltén is through El Calafate which also a must in Patagonia to visit El Perito Moreno glacier. From there, the cheapest option is to take the bus. The journey last 3 hours and three companies provide departures – Caltur, Chaltén Travel, and Taqsa. A ticket with the return costs 900 pesos (51$). Departures from both cities at 8am and 5pm. Rancho Grande is the best place to stay for backpackers. Dorms are really comfortable and quiet with prices starting at 17$. If you want more space and privacy, private rooms are also available. There is a kitchen and a nice lounge with Wi-Fi which is rare in El Chaltén. Buy food for your treks in El Calafate supermarkets, you will get more choice and it will be less expensive. Once in El Chaltén, you can have a nice dinner at Rancho Grande or enjoy typical food at Che Empanada – various and original recipes for delicious empanadas.